Le Laboratoire des Sciences Sociales du Politique - Parution de "Journalism and the NSA Revelations : Privacy, Security and the Press"
Parution de "Journalism and the NSA Revelations : Privacy, Security and the Press"
Edward Snowden’s revelations about the mass surveillance capabilities of the US National Security Agency (NSA) and other security services triggered an ongoing debate about the relationship between privacy and security in the digital world. This discussion has been dispersed into a number of national platforms, reflecting local political realities but also raising questions that cut across national public spheres. What does this debate tell us about the role of journalism in making sense of global events ? This book looks at discussions of these debates in the mainstream media in the USA, United Kingdom, France, Germany, Russia and China. 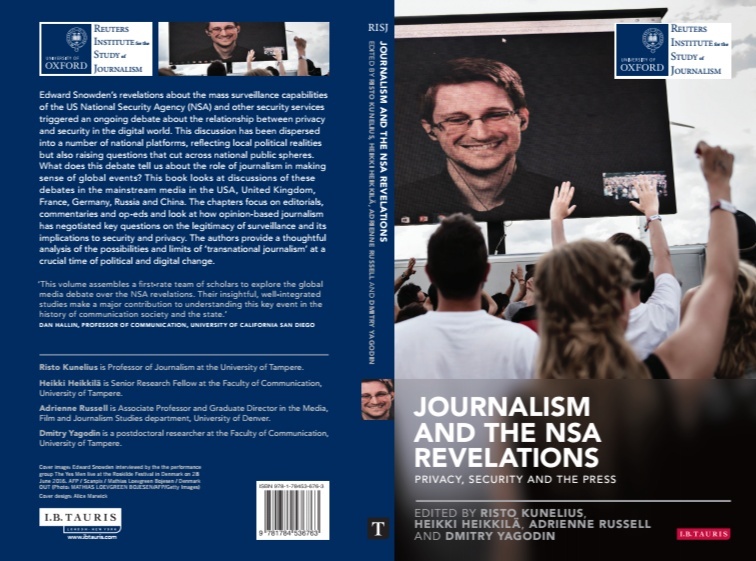 The chapters focus on editorials, commentaries and op-eds and look at how opinion-based journalism has negotiated key questions on the legitimacy of surveillance and its implications to security and privacy. The authors provide a thoughtful analysis of the possibilities and limits of ’transnational journalism’ at a crucial time of political and digital change.